I’m fond of solving puzzles and I passed it on to my kids which they do on their free time. It’s a good mind game just like their various educational games that we play as family. It’s not only healthy on the minds but healthy for family relationship as well. It serves as a bonding game for all of us instead of online games which decreases some creativity in us. As puzzle excites us so do this puzzle ring that I run through while browsing online for gift ideas. I though it’s a toy but when I looked on the site I admired the jewelry craftsmanship they did to the ring. 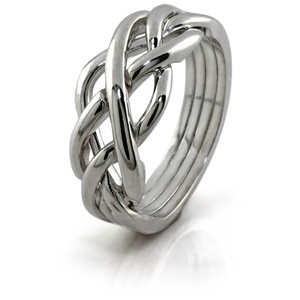 I love looking at the four sterling bands intertwined to form a ring. It’s simply elegant and perfect for gifts to your loved ones. 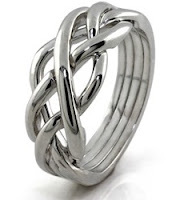 This one might be a good friendship ring also for your best friend.